The cover flow view is a container showing animated three-dimensional images in a style consistent with the cover flow presentation style used for iPod, iTunes, and file browsing. imagePath consists of set of images to display on cover flow. 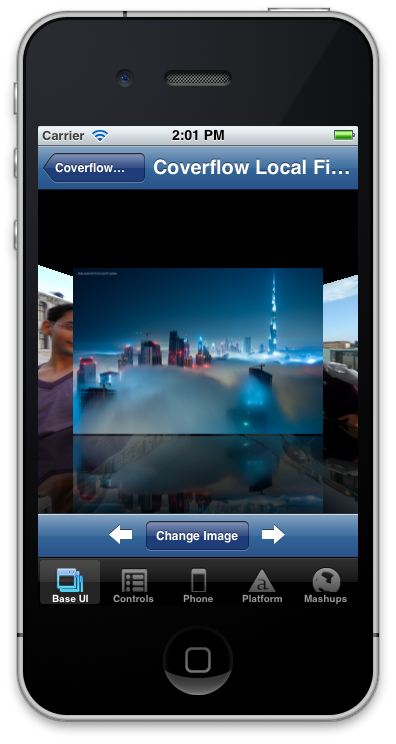 By setting height, width at this time images are resized to the right height and width in the cover flow and now you can display the images in cover flow in your iOS application. The code still needs to be modified to take into account those cases where images are small and don't need to resized to 50%. I'll post the code once a do that.